To celebrate the end of another great year, made possible by my awesome readers, I’m running a special Kindle Fire giveaway. To enter, just drop “WANTKINDLE” in the comment box below and hit the “share” button for Facebook, Twitter, or whatever social media platform you prefer. That’s all! 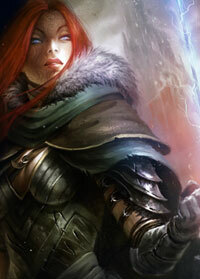 One blog commenter will be randomly selected and notified by email. Good luck to all entrants! This entry was posted on Thursday, December 10th, 2015 at 12:36 am in Giveaways. Tagged: contests, ebooks, kindle fire, kindle giveaway. You can feed this entry. You can leave a response, or trackback from your own site. WANTKINDLE and I love your books! 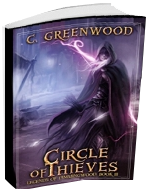 Everything about the thief series was amazing and the new series is off to a great start. I can’t wait to read the next book. ps- I love your books! Wantkindle! Merry Christmas and happy holidays ! WANTKINDLE!! Please and thank you. I don’t care about the Kindel, I use Kindel on my phone to read and wouldn’t use a kindel anyway. I just wanted to let you know I am out to read everything you have written. If you would send me a list I would greatly appreciate it. I agree with Sam Watson. I love the books I have read of yours and would like to read more. Thank you for doing this, very cool. WANTKINDLE Thank you and Happy Holidays! Wantkindle. Love all your books. 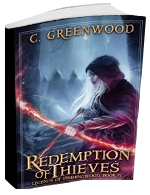 I’ve read all the Greenwood books. love them. I’d love to have a Kindle. I can’t access the books on Amazon because my e reader isn’t compatible. I’d be able to buy more books and not miss out on parts of series if I had one. You are awesome Carol! Thank you for having a Christmas giveaway! 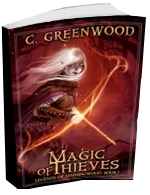 I love the books Legends of Dimmingwood, have most of the series its a very good read. “WANTKINDLE”. (I also love your books). Kindly kindle my heart next to a warm fireplace reading your next adventure on a Kindle. Wantkindle! WANTKINDLE. LOVE! LOVE! LOVE! YOUR BOOKS. Who doesn’t want a free Kindle? Wantkindle to give away. Already have a paperwhite. WANTKINDLE!!! 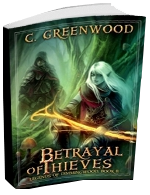 By the way book one in the Legends Of Dimmingwood series was fabulous!! Want kindle. It would make a great present!!!!! Want kindle…it would make a great present!!!!!! WANTKINDLE and I love your books so I’m just gonna help you keep writing by continuing to buy them! Thanks for all you do! Also waiting for more to read. I love your books. “WANTKINDLE” You are an amazing Author thanks!!! WantKindle and love your books! WANTKINDLE, and so do a whole buncch of others lol. Just keep writing awesome reads for me and i will be content ? I would like the Kindle as I like your books and enjoy reading them. WantKindle. Merry Christmas and happy holidays! OH WOW! WHAT ARE MY ODDS TO WIN? WELL GOOD LUCK EVERYONE AND CONGRATS TO THE WINNER!! WANTKINDLE Love your writing, read first 3 , how do I find the rest? It would be nice to have a kindle to use ! I’ve enjoyed reading your books. Great job I hope to read more of them soon! Also adding you to my review list! Work looks awesome! Thank you!! Hope that you have a wonderful holiday season and that you and your family are at peace!